The Garden is idyllically located in a tranquil village setting between St.Andrews Church and the local river. HRA is delighted to offer our garden to residents of all faiths and none from Darlington and surrounding areas as a location for personalised memorial plaques in remembrance of loved ones. Each plaque is sited on a shaded boundary wall beneath a 200 year old horse chestnut tree. Renewable 7 year leases are offered at very competitive prices. High quality and hard wearing corian black marble effect plaques are offered with attractive engraved Times Roman text in gold. It is a quiet and beautiful environment to reflect, walk, meditate and enjoy nature. There is an area to leave flowers close to each plaque. 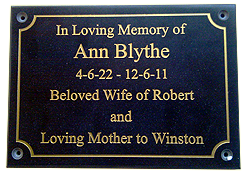 To commission a plaque in memory of a loved one please contact us. © Haughton Residents Association Memorial Garden 2011 - 2019. 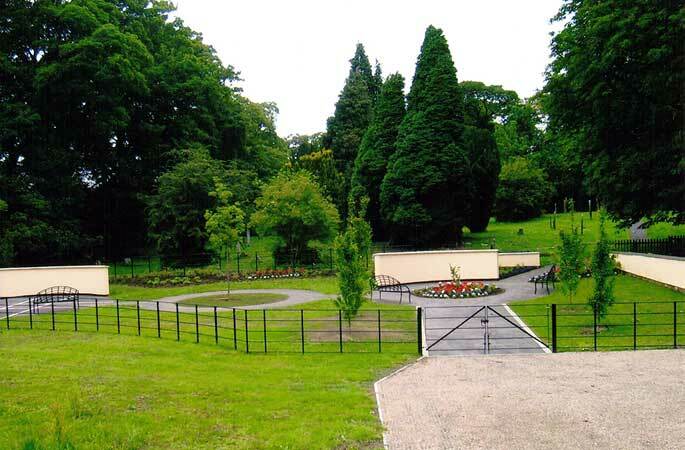 Haughton Memorial Garden is a new and uniquely NOT for profit social enterprise part funded by Community Spaces, Banks Group,Durham County Foundation, Darlington Borough Council and Haughton Residents Association.